Ciao, bella! Welcome to VENICE! Walk around the island- If you’re ever going to get lost somewhere, Venice is the place to do it (and chances are, you will, map or no map). Luckily, it’s a fairly small island, so you can’t get too lost, and the friendly locals are always happy to point you back in the right direction. Wandering the alleys and narrow streets away from the ‘Tourist District’ is where you will find the REAL Venice- quiet squares, cozy cafes, and a side of the city wholly and entirely different from the crowds of San Marco Square and the Grand Canal. San Marco Square- Venice’s main and largest square is also it’s main tourist attraction, so expect crowds, touts, vendors, and expensive coffees. Still, the square is well-worth a visit, if only for the people watching. Keep your ears tuned in for the orchestras that frequent the cafes that line the square. Climb the Campanile di San Marco- for a small fee, you can go up in the tower in San Marco Square. 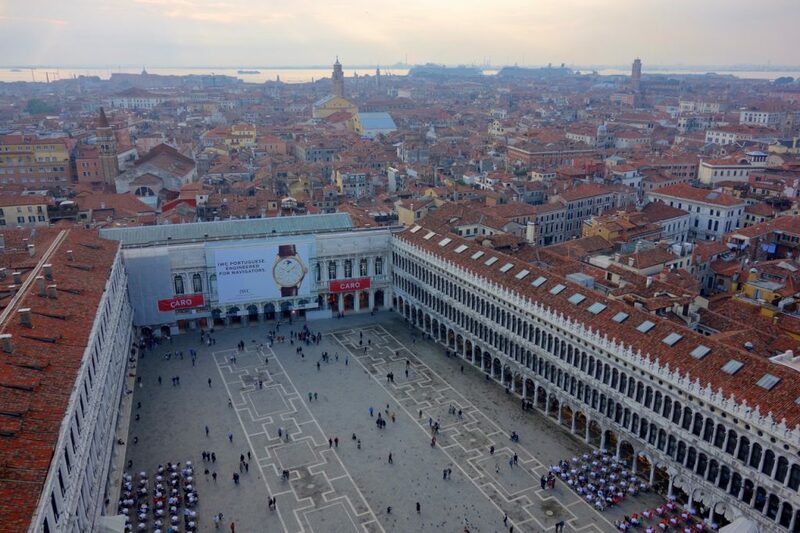 Great views of Venice, San Marco Square, and the surrounding sea await at the top. For something special, try to time your visit for sunset. Grand Canal- no trip to Venice is complete without a stroll along, over, or down the Grand Canal. Brightly lit restaurants and cafes line the canal, with motorboats and gondoliers plying the waterway. Everything will be a bit more expensive here, but walking is always free, and the unique ‘Venetian’ scenery is post-card material. Rialto Bridge- The Ponte di Rialto is one of the iconic structures in Venice. 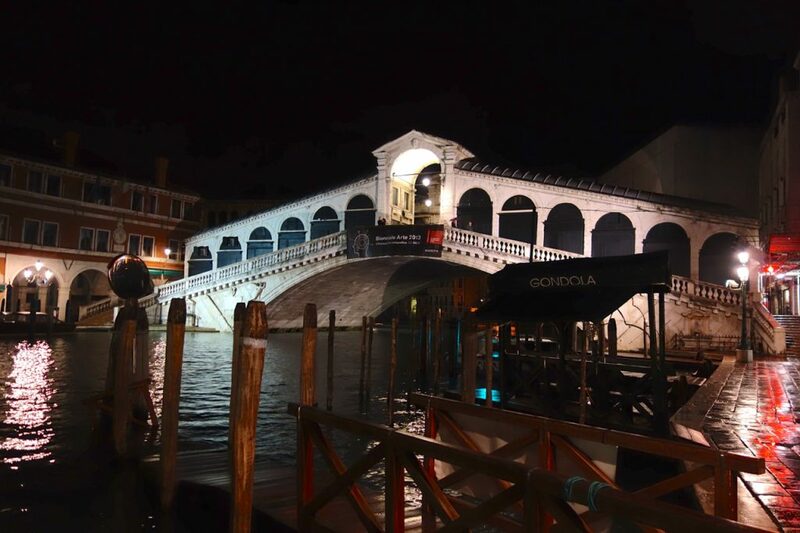 Completed in 1591, the bridge has come to represent the city of Venice and its long and remarkable history. 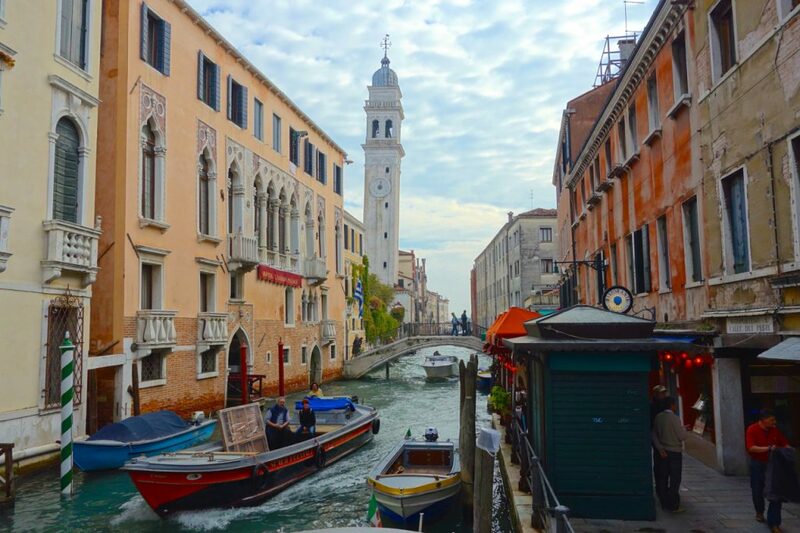 Climb to the top for great views of the Grand Canal. Basilica di San Marco- A visit to St. Mark’s Cathedral is worth standing in line for- and regardless of season, you well might have to. The ‘Church of Gold’ is covered with remarkable golden mosaics all over the interior, and the domes are famous for their opulence. Drink a SPRITZ- The traditional ‘Veneziano’ is a cocktail prepared with prosecco (See below), a splash of Campari, and topped off with sparkling mineral water. You’ll see countless osteria, bar and cafe tables covered with these as locals, tourists, and students unwind during Happy Hour in Venice. Prosecco- a white sparkling wine produced in the hills around Veneto, prosecco is the drink of choice in Venice. 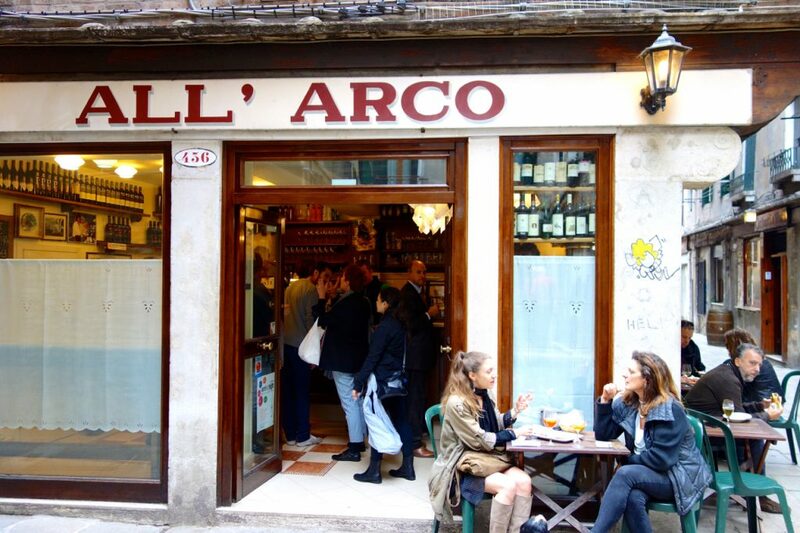 A bit less carbonated than champagne, a light wine with a dry finish, a glass of prosecco is a perfect excuse for an afternoon stop at one of Venice’s countless cafes. Gondola ride- A MUST on any trip to Venice, just to say you did it. You can negotiate time, distance, whether they sing or not... Anything and everything. Talk to a few different gondoliers, compare prices, and get your camera ready there’s nothing quite like the canals of Venice as seen from a traditional gondola. 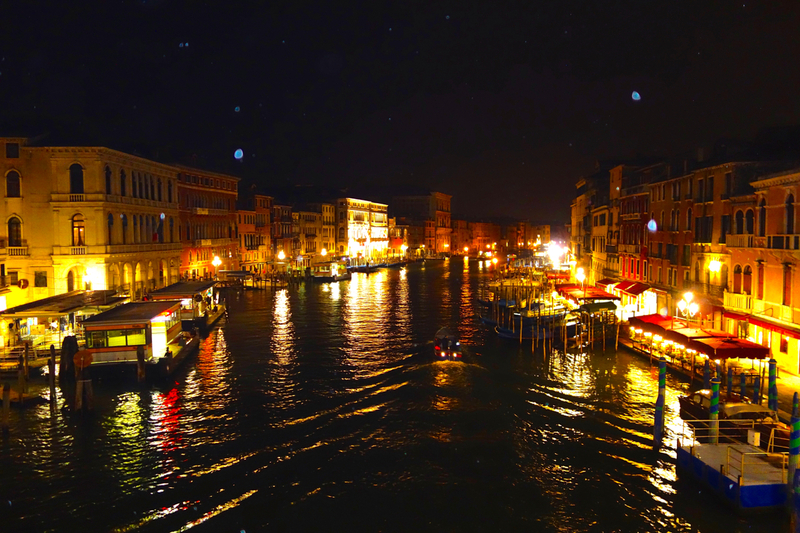 Eat like a Venetian- Venetians have a propensity to pick at small plates over a glass of prosecco or a spritz. Find a place that looks appealing, order a few small dishes, and enjoy a taste of Venice while you watch the world go by. 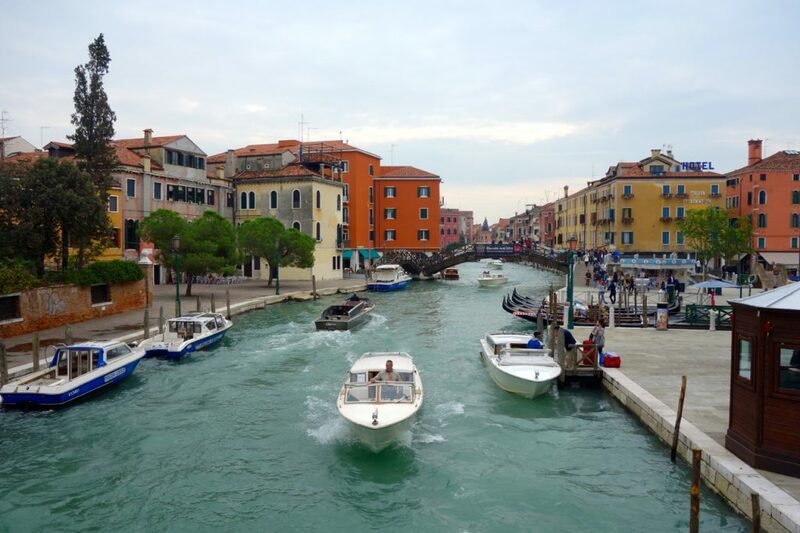 Explore- There are numerous small cities and towns around Venice, just a short car or train ride away. Mestre, Padova, Treviso, Castlefranco- get out into the Italian countryside and explore these gems off the beaten ‘Venice’ track.